Ladies and gentlemen, i present to you the fabulous, the magnificent, the one and only... 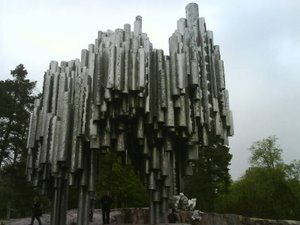 The Sibelius monument in Finland. This was made in honor of the finnish composer Jean Sibelius, who composed "Finlandia"... Nice monument you got there...anyways... It was rather big.